Hello girls, today I will share with you this pattern easy to crochet. 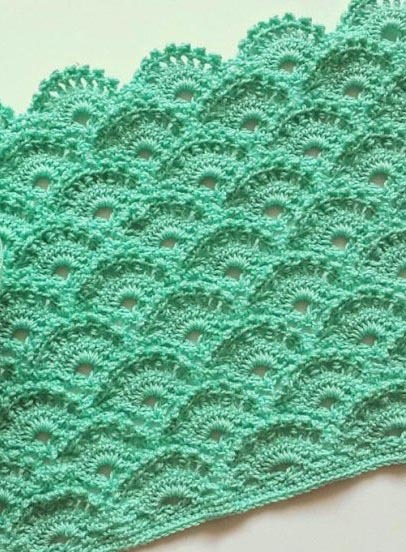 With "fish scale" pattern that you can do many crochet pieces, such as hat, scarf, blankets, sweaters and all you want. It is always good to learn new techniques and crochet points. This pattern, as well as being easy is very cute and makes any amazing piece. 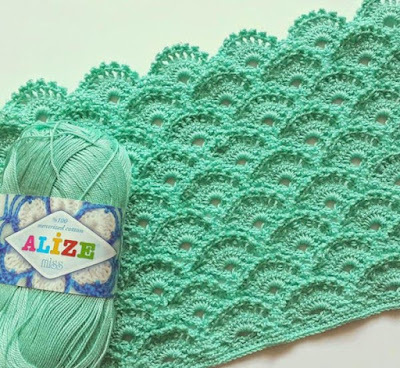 You can use this point of crochet to put more details in their work, and thus makes them even more unique. I do not think the padão written, only diagrams, but it is very easy to do. This is gorgeous! Do you have the instructions? Could you provide a key for the stitches in the pattern? I cannot find some of them on any stitch chart, and I think it may just be a style issue. But I want to learn this - it is beautiful!